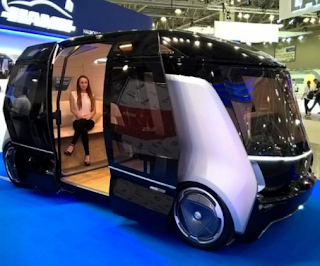 One of the world's most popular search engine based in Russia and google's equivalent recently exhibited its prototype self-driving vehicles. Yandex's choice of car is the Toyota Prius V which has been designed (prototype) with sensors, cameras, and AI (artificial intelligence). Though, the test model is yet on the public, reports shows the car was able to navigate itself in 'complex environments' and very busy areas, Yandex stated in a press conference. The Russian search engine giant also stated the car would be tested on public roads come next year. “Self-driving cars are set to revolutionize the way we commute within a matter of a decade,” said the head of Yandex’s self-driving project, Dmitry Polishchuk. The company assured that the Technical/Engineering expertise needed to make the driver-less car a success has been put in place. This project goes a long way to show you must not be at the silicon valley to make such a massive technological project a reality.